Pro printed and sealed, 6th tape in a mix tape series. A PUNK and POST-PUNK mix tape. Featuring bands from Colombia, Peru, Ecuador, Chile, Paraguay, Uruguay and Argentina. 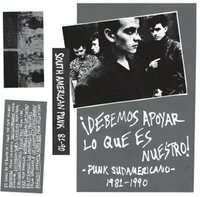 A good chunk of the bands represent Uruguay, an all too often overlooked country on the world punk scale.